A goal of Rogue One’s director, Gareth Edwards, was to emphasize the ‘war’ in Star Wars. For the millions who have seen the first standalone Star Wars film, all can attest that Edwards succeeded in this endeavor, particularly in the film’s climatic final act which put the camera in the midst of combat on the sandy beaches of Scarif and in the cockpit high overhead in the stars above. In the Expanded Universe, this task was already accomplished by Alexander Freed’s Battlefront: Twilight Company. Twilight Company, which told the story of members of a rebel infantry regiment from a time period following A New Hope to a point after The Empire Strikes Back, presented a grim look at the realities of war that while set in the space fantasy of the Star Wars universe would read just as well in a conflict in the 20th Century. It’s a brilliant book about brand new characters, the struggle of the Rebellion to field forces against a dominant Empire, and a main character that had grown up in a life filled with war. 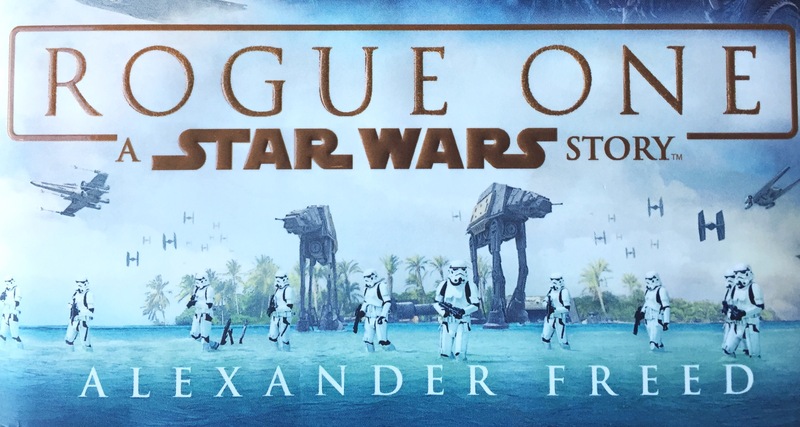 Unsurprisingly, Freed was tapped to write the novelization of Rogue One. 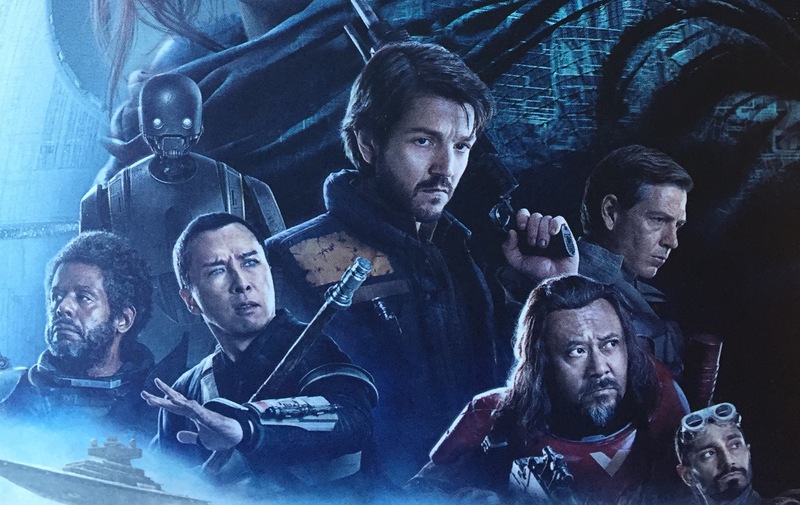 The story of Rogue One told by Freed contains no surprises, no additional scenes that appeared to have been left out of the film, and definitely not the visual splendor that Edwards brought to the silver screen. Despite these absences, Freed’s work beyond being a superb accompaniment to the film, also stands firmly on its own as a singular splendid journey into the Star Wars universe. Novelizations of films have a distinct advantage over their visual cousins because their authors can tap into the inner monologue of the characters with an ease that many movies cannot due to style, format or simply time allowed from the opening credits to the end. 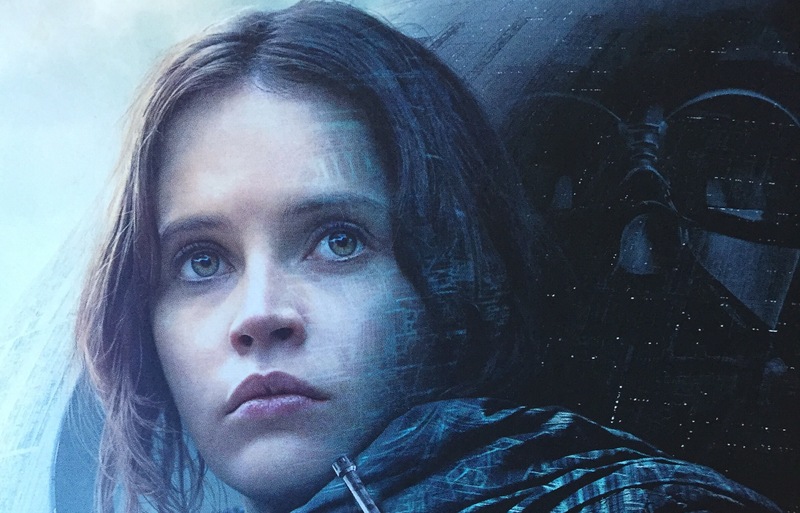 Freed takes advantage of this freedom to deepen the characters introduced in Rogue One, especially in the case of Jyn Erso. With Jyn, the difficult journey from twice abandoned child to stirring inspirational speaker on Yavin IV is more clearly understood in the context of the impact of seeing her father’s hologram in the hideout of Saw Gerrera to having him die in her arms on Eadu. Freed draws upon the momentary shot of a young Jyn, hiding in the darkness of her secret hatch, and expands it to become a coping mechanism created to deal with one terrible life event after another. Another character benefited from this freedom is General Draven, the rebel spy chief, whose motivations are better defined as the actions of a man who believes in the cold pragmatic approach to war and almost condescendingly sees himself as a caretaker of the rebellion’s more optimistic leaders, like Mon Mothma. They dream, he acts. In the same vein, perhaps one of the best elements of Freed’s Rogue One is Freed’s ability to take brief scenes in the film and draw them out, be it Jyn’s hatchway or a few seconds dedicated to Saw Gerrera as he stared down death from the window of his base on the outskirts of the Holy City of Jedha. While Forest Whitaker captures the weary, but defiant guerilla leader ready to finally surrender his fight, Freed offers a deeper perspective to Saw’s final moments, including his feelings of himself, his fighters, and of Jyn. Moments like these pull out deeper characterizations for virtually all the main characters of the film, leading not to just a more enjoyable novel, but also to a more entertaining movie. There are no new scenes, so much as moments expanded upon, such as Jyn and Saw’s reunion, better dressed as a daughter confronting a father who had betrayed her. Additionally, for expediency or simply flow of the narrative, Freed sometimes combines scenes which in the film required cutting back from one character in one place to another character somewhere else. An example of such would be dialogue between K-2SO and Cassian Andor, when the two have split apart in the tower. K-2SO becomes a voice across the comlink, which works perfectly fine, preserving the flow of the moment with Cassian and Jyn in the file retrieval room. Similar adaptations occur throughout the novel with good results. For those familiar with Twilight Company and also Chuck Wendig’s Aftermath Trilogy, interludes have become a fun, short explorations of the wider world. Freed’s Rogue One takes this liberty in two ways, first with “Supplemental Data” interludes which are composed out of documents “written” by characters from Rogue One, be it an email exchange between Galen Erso, Orson Krennic, and a construction manager over a thermal exhaust venting problem, to a memorandum written by Mon Mothma about the make up of the Rebel fleet and the style of warfare adopted by the Rebellion versus the Empire in the years that followed the Clone Wars (Freed slips in a wink to Twilight Company in this one). These are fun, but the overall story exists perfectly fine without them (we’d recommend still reading them). The other interlude occurs with the destruction of Jedha’s Holy City, in which Freed separates us from the story we’re familiar with from the movie to quickly tell a series of micro-stories about others doomed by Governor Tarkin’s decision to test out the Death Star’s laser (a statement, not a manifesto). Again, while having no bearing on the overall story, are incredibly poignant and bring home to the reader the destruction of the holy city on a much more personal scale. 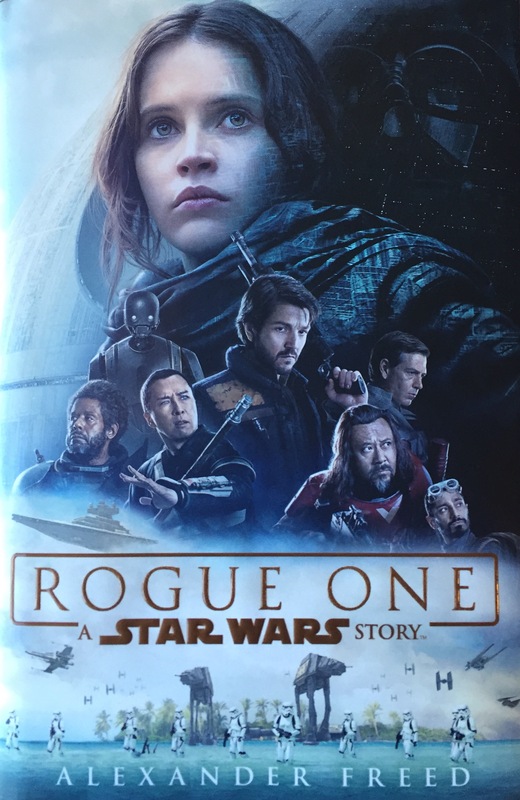 The novelization of Rogue One by Alexander Freed accomplishes the rare feat of being nearly as entertaining as its film source, and in a way, is more satisfying than the film given its ability to really explore the characters otherwise limited to just over two hours of screen time. Unless one cannot read a book if they know how it ends, then Rogue One by Alexander Freed is a must buy for any fan of the literary Star Wars universe, especially those who enjoyed Twilight Company. Freed is easily one of the better writers in the current Star Wars Expanded Universe stable and manages to take a story that most now know front to back and make it just as compelling as its visual counterpart. Rogue One is currently available in both e-book form and hardcover at nearly any retailer, grab it once you see the movie and prepare to love Jyn Erso’s story one more time.